Send her a rainbow! 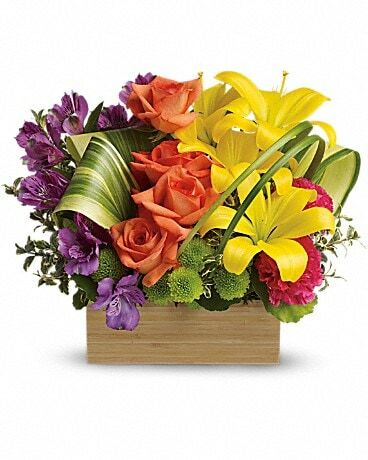 Golden lilies, radiant roses and regal alstroemeria burst brilliantly from a contemporary box. 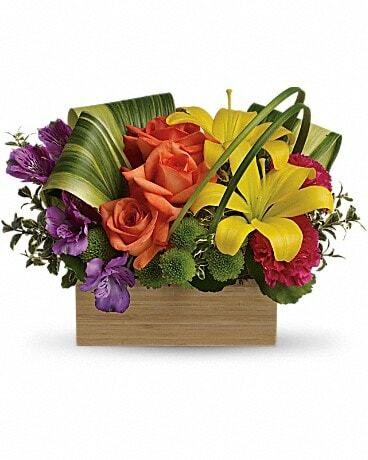 What a chic, stunning way to brighten her day! Color and flowers may vary.